We recently visited our good friends who have just moved to Ballarat to check out the new house and see their beautiful new baby boy Jack. As with most of our friends we share a love of good food and good wine so we really didn't get to see much of Ballarat, instead we enjoyed some fantastic home cooking in their brand new kitchen and some great Pinot to go with it. I had brought my last bottle of Curly Flat Pinot Noir 2007, its a bit different from the other vintages in that it is unfiltered and you can really notice it, I often find that I prefer unfiltered wines. They just seem to have a bit more substance, as I was told by my wine friend expert, sometimes when they try and remove the bad things they also remove some of the good things too! 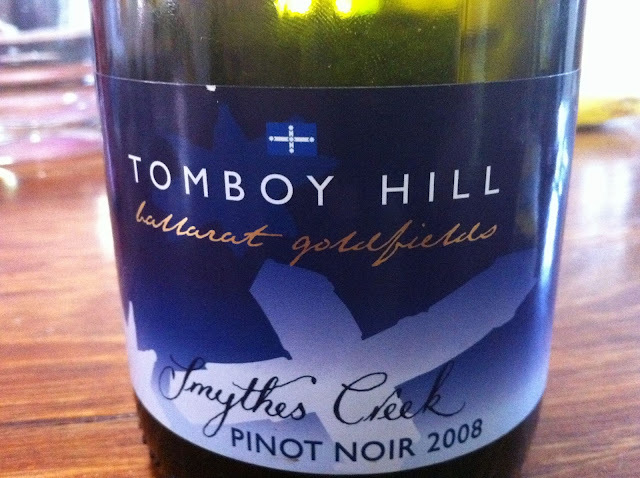 Our friends had bought a bottle of Tomboy Hill Smythes Creek Pinot Noir 2008 which I though was great as I really like to taste the local wines when I visit regional Victoria. We decided to do a head to head tasting which is a great way to learn more about wine tasting as it is often difficult to describe a wine in isolation but when you have something to compare to most people can provide a meaningful explanation about which characteristics differ between the two wines and which they prefer. To assist us in the tasting process I had my WSET Systematic Approach to Tasting Wine card which guides you through some of the typical categories that are used when tasting wine. Comparison Conclusion - The Tomboy Hill was definitely tighter and perhaps needed a bit more time for the acid to become more subdued. The Tomboy Hill also had noticeably heavier tannins, again perhaps some more time in the bottle would help. Overall the Curly Flat was our preference, it was much smoother in length and better nose with the floral notes. 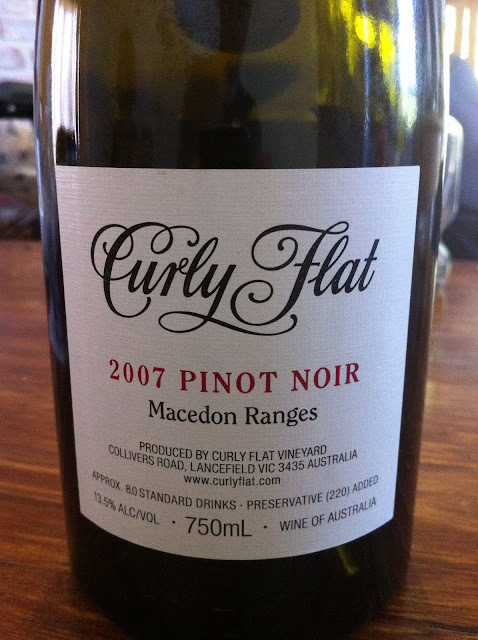 The Curly Flat was also far superior on my Funk-O-Meter which to me is often all that really matter... I love the Funk! Give me the Funk! 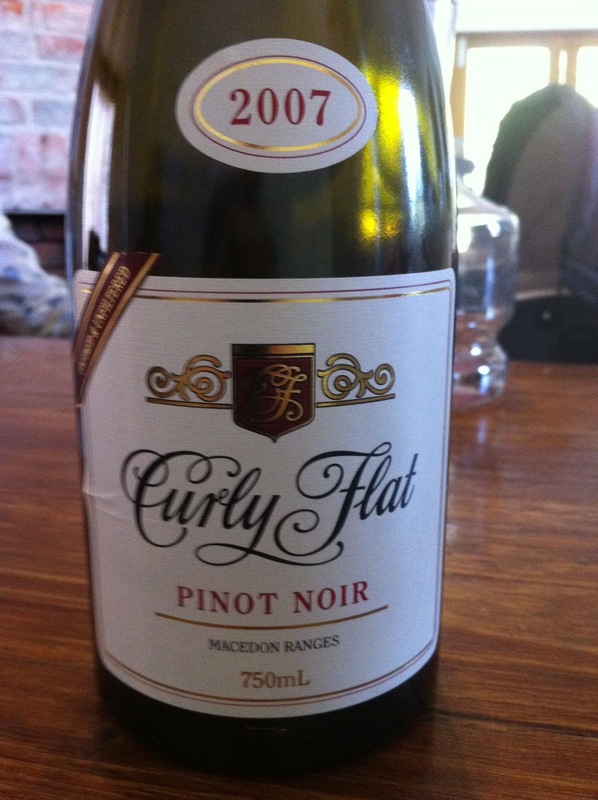 Final rating: Curly Flat - Outstanding, Tomboy Hill - Good. 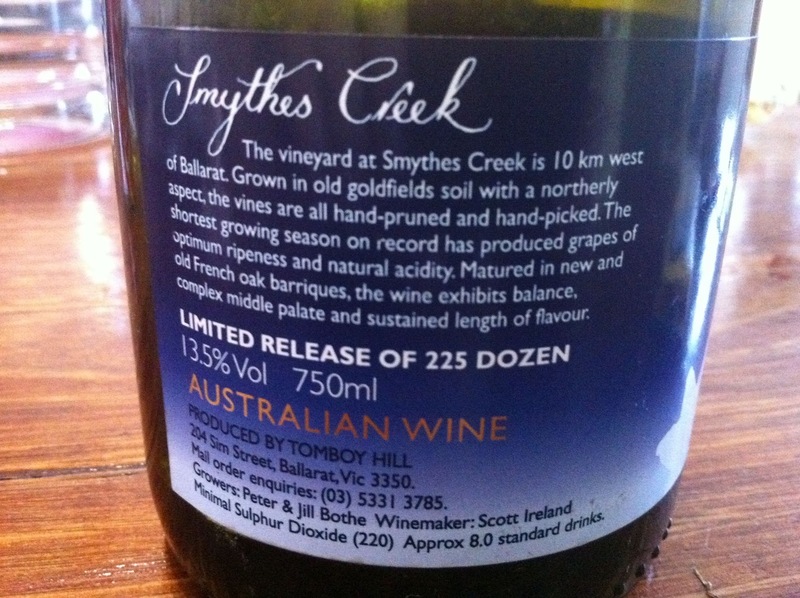 We all found the side by side tasting comparison process heaps of fun and we have decided to make it a regular occurrence on our hopefully frequent visits to Ballarat. Great post ;) we look forward to another tasting!! !